The AST joined with the AWA in Voorhees to help remind the community that everyone has the ability to save a life. Everyone, and everything, deserves a second chance. 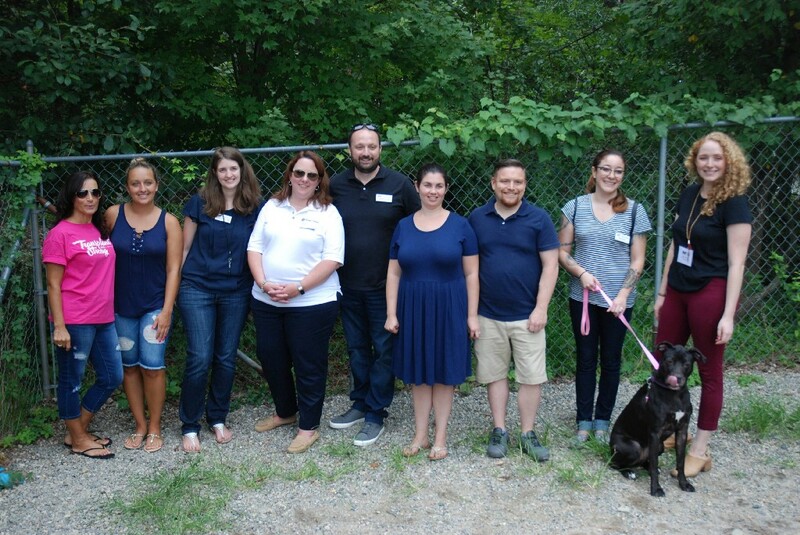 That was the theme at the Animal Welfare Association in Voorhees early this week, when the shelter teamed with the American Society of Transplantation, based in Mt. Laurel. Members of the transplant community shared their stories by helping create short videos while holding animals that are available for adoption through the AWA. Although a possibly strange partnership when it was first pitched, AST CEO Shandie Covington felt the idea of the two nonprofits working together grew as time went on. “Although a little unconventional at first, it seemed to become more and more natural the more we talked about it,” Covington said. Tara Chester, of Berlin, was one of the many organ recipients who came to speak about her personal story of receiving a heart transplant in a video and show support for both organizations, in part with Tito, a one-year-old rat terrier mix. Chester’s entire way of life changed within just three days when she was diagnosed with giant cell myocarditis in July 2012, after initially being told she had nothing serious to worry about. Chester endured multiple medical procedures intended to help take pressure off her heart until being placed on the national registry as being in need of a new heart. She was in the hospital for approximately two months until she received good news. After being placed on the national registry on Sept. 7, Chester received a call Sept. 9 saying they had found a match for her, leading her to undergo heart transplant surgery Sept. 10 after just two days of waiting. She spent 30 days in the hospital recovering following the heart surgery. After experiencing two rejections within the first six months after the surgery, Chester now has Stage 4 kidney failure from the rejection medicine to ensure the heart stays. The battle is not over for Chester; while she does not yet need a kidney transplant, there is the potential for needing one in the future. Additionally, heart transplants last about 10 years, according to Chester, so she may eventually be in need of another heart transplant. Despite the uncertain future, Chester could not be more thankful of the life she’s been able to live again thanks to organ donation. Another organ recipient who told his story through this initiative was Bill English, from Bellmawr, who was in need of a kidney transplant until five weeks ago. Around three years ago, English was put on emergency dialysis as a result of a medical condition, which led to the search for a new kidney. His wife, Laura, sprang to social media to help search for a possible living match. On Facebook, she started a page advertising her husband was in need of a kidney transplant. While on Instagram, they documented his life through years of dialysis, waiting for someone to be a match. On their cars, they placed signs asking for people to see if they were a match to be able to donate. They ultimately found a donor after Laura made a comment on a different page on Facebook that led the donor to find the page stating Bill needed a kidney. Ironically, the married couple currently has two dogs from the AWA in Voorhees, having adopted them back in 2010 and 2012, which encouraged him to take part in the awareness campaign even more. AST asks that people look into organ donation and how someone can help save an individual’s life through the Power2Save initiative, while the AWA would like to remind the community animals are in need of loving homes at the shelter. Visit Power2Save.org for more information on how to become an organ donor and awanj.org to find how you can support animal adoption locally through the Animal Welfare Association.